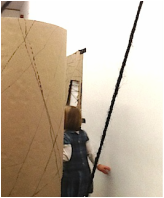 For The Big Draw 2013 event at Towner June provided a drop-in family workshop which took inspiration from Chiaru Shiota’s massive installation, Other Side: a maze comprising 1600 balls of black yarn and 5 doors in the gallery's top-floor exhibition space. 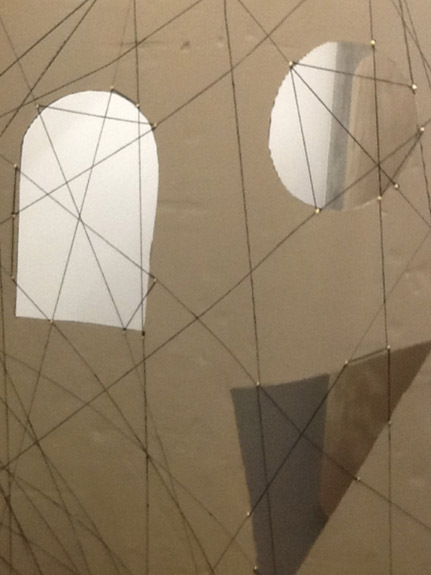 Participants were invited to build a 3D drawing reflecting the experience of walking through Shoita's exhibition. 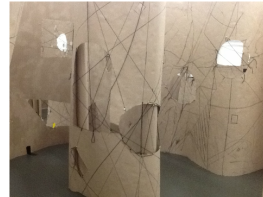 Using leftover black yarn and a 75m long roll of corrugated cardboard they made a labyrinth of walls, tunnels, windows, and doors, using cardboard, black pen and yarn, and draw their way through, across, and over it. 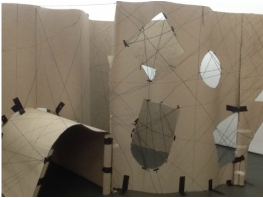 Adults and children working together were given a 2m+ length of the cardboard. 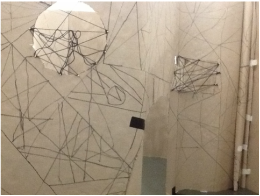 They drew around the templates of their choice, cut out apertures and built up their section by drawing from edge to edge in straight black lines continuing the line across the openings with yarn. 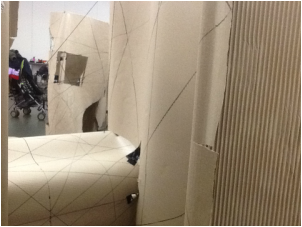 As families finished their sections they attached them to the growing structure. Throughout the day, the huge hall was filled with the buzz of 170+ visitors of all ages, with every member of the family fully involved – grandparents with small children, brothers and sisters, couples and single parents. 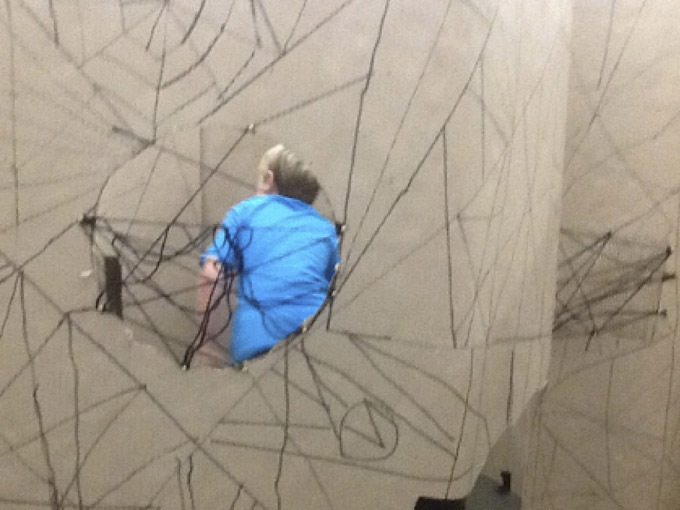 Toddlers were kept busy when they couldn’t handle yarn by drawing pictures to stick up on the walls and going for walks through the maze.. Everyone was fully involved and delighted to be contributing to an ever-growing installation.